So today I went off to York with the family to treat my Mum for her birthday, I took lots of photos so will post some of them over the next couple of days. I had no idea how cold it was going to be walking around the streets of York all day, so I had to make some "emergency" purchases. You know the type, you are so cold you have no choice but to by a new hat/scarf/gloves/cardigan/ maybe even a new coat in order to keep warm. Please excuse my messy kitchen and the slightly disheveled look I have about me, I've been walking around in the cold all day. I was so super cold I decided to grab a cardigan, but after looking in Topshop and New Look none of the cardigans were impressing me. So I decided on a little cream jumper instead. I was actually going to buy a similar jumper a few months ago from Topshop but decided against it because I couldn't get my size. 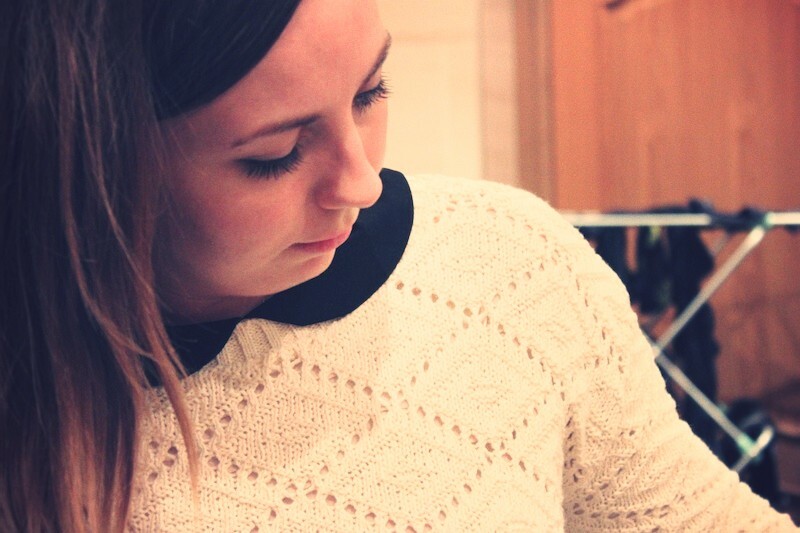 It's perfect for putting over things, like the Peter Pan collar blouse I was wearing today. It would also look really sweet over a peter pan collar dress (must get one of these soon). Last but not least another little treat that Adam bought me wasn't technically an emergency purchase, just a necessary one. My new ipod is already getting scratched to bits and its impossible to find nice cases for the classic 160gb ipod. 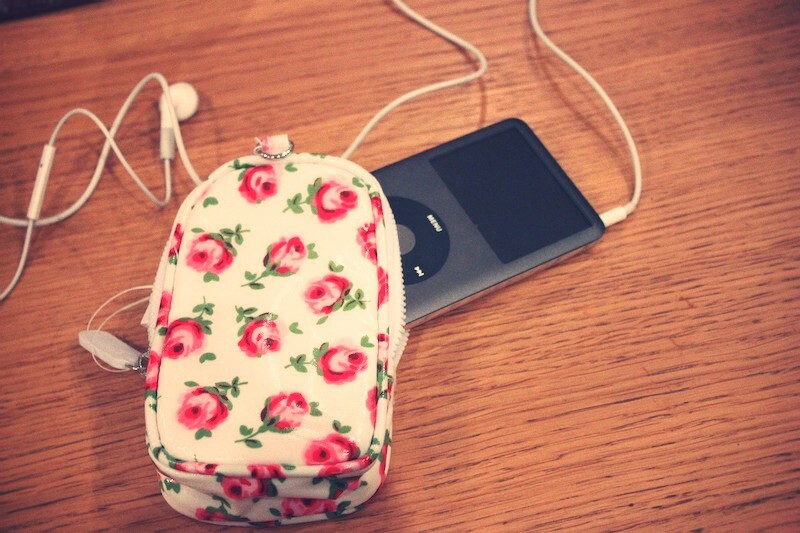 So whilst in Cath Kidston today I picked up this gadget case that my ipod fits in snug as a bug. Its cute. I like it. So thats it, I hope you've all had a lovely weekend so far and I'll be updating lots of photos tomorrow. What do you think of my emergency purchases, and have you ever done the same? can tell you now that jumper/peterpan combo is making an appearance on my blog this week! never thought about wearing it like that! so cute! I love your new scarf! I bought my first leopard print item (snood) from Topshop online but disappointed. The photo online looks more neutral shade but there's lot of bright yellow in it. gutted. I have the Topshop jumper in question, but after seeing this New Look version today I actually think I prefer it- I think it may be more versatile? It looks gorgeous on you, anyway! aahhh i have been on a hunt for a case for my iPod classic for ages now, and never found one! This one is so great, i wish i could get it in my country !